I really don't think of this site as a blog. I consider it a place where I can showcase my stories, presented to you in blog format, which technically means it's a blog, so I guess it is. What a bummer. 1. Write useful stuff. Nobody cares that you ate a grilled cheese sandwich for lunch. What they DO care about is the way you fixed it. In the oven? On the stovetop? Speared with a fork and burned over candle fire? It's the HOW, not the WHAT that matters. 2. Ask questions. You may think that a grilled cheese sandwich is yummy, but it's better to ask your audience (even though it may just be your Mom and Aunt Edna from El Paso) what THEY think about grilled cheese sandwiches. Questions build a dialogue, and dialogues are better than monologues. SAMPLE QUESTION: So, what do you think I drank with my grilled cheese sandwich -- coffee or Dr. Pepper? 3. Write with humor. There are a million and one humorous anecdotes you probably could come up with about cooking or eating a grilled cheese sandwich. Use them. Milk them for all they're worth. Of course, I can't think of a thing that's funny about it, but since YOU'RE the one writing about grilled cheese sandwiches, I'll leave that up to you. 4. Have a contest every now and then. Nothing draws in an audience like winning something. Maybe draw names from those who comment on a certain post. Maybe pose a problem and the person with the correct answer wins the prize. Maybe you could offer to fix the winner a grilled cheese sandwich and have it shipped to them via FedEx or UPS. The possibilities are endless. 5. Post regularly. 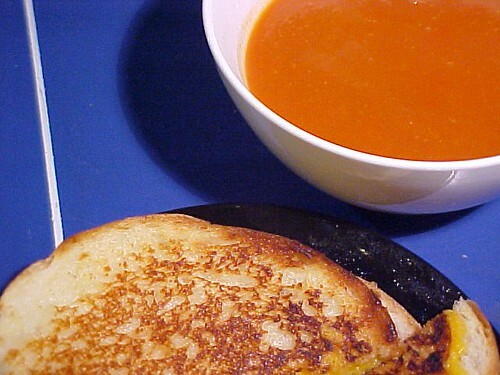 If you only post stories about grilled cheese sandwiches every other month, nobody's going to read your stuff. But if you post stories about it every DAY, then that's just weird. Maybe vary it up a bit. Write about grilled cheese sandwiches on Monday, Wednesday, and Friday, and then on the other days write about your goats, or whatever else floats your boat. Okay, kiddies. That's my useful post of the month. Hope it leads you to better writing, but more importantly, I hope it brings your blog fame and fortune. That will be $5. Please pay at the front desk as you leave.